In dramatic breaking news unveiled at the TFWA & APTRA-run ‘China’s Century’ travel retail conference in Beijing today, Hainan Provincial Duty Free Co Ltd (HNDF) is to open its first off-airport store on Hainan Island, at the Mission Hills Tourism Town Center in Haikou. Set to open by December this year, the new downtown space not only marks a major milestone for the off-shore duty free retailer but also an expansion of its partnership with DFS Group, the world’s largest luxury travel retailer. The two companies have worked together at Haikou Meilan International Airport since late 2011, with DFS consulting on the store design, brand management, assortment planning, product supply, staff training and store operations. The new agreement was announced by DFS Chairman and CEO Philippe Schaus during his keynote address at the ‘China’s Century’ conference this morning. 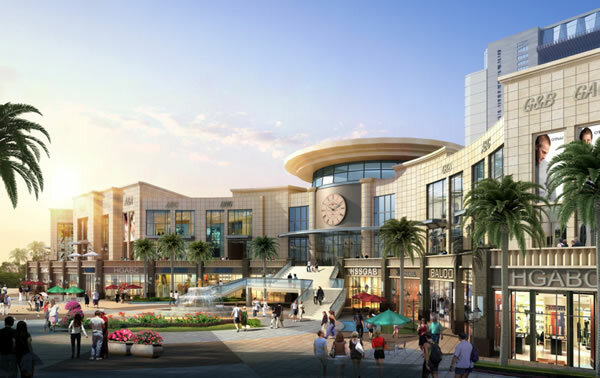 "We are excited about working with HNDF and Mission Hills on this new project to bring even more Chinese customers and tourists the high-quality shopping experiences we deliver to travellers around the world,” said Schaus. HNDF’s store at Mission Hills Haikou will represent a total investment in Hainan of more than RM10 billion. To occupy a total space of 100,000sq m upon completion, the store will open in two stages. When the first opens at the end of 2013, it will span 10,000sq m, retail 21 categories of duty free products and offer customers 360 degree services at international standards, the companies said in a statement. One of several projects that HNDF has underway in Hainan, the Mission Hills Haikou store will be followed in the near future by the openings of several other HNDF duty free retail locations, including at Sanya Airport and other shops in Bo’ao, Yangpu and around Hainan island. Look out later for further updates on this story, including comments from all the partners made during a press conference after the announcement. Mission Hills China, owner and operator of Mission Hills Shenzhen and Mission Hills Resort Hainan (see below for further details), is a key player in China’s fledgling sports and leisure industry. The Mission Hills brand encompasses several sub-brands, including Mission Hills Golf Clubs, Mission Hills Residences, as well as Mission Hills Hotels & Resorts. Offshore duty free shopping was introduced to the island by China Duty Free Group in April 2011, quickly producing astonishing sales results. That momentum gained dramatic added impetus following an increase in the duty free allowance from RMB5,000 (US$800) to RMB8,000 (US$1,275) in late 2012.